Home > CarPro Iron X Paste 500 g.
CarPro Iron X Paste 500 g.
Paste formula clings to vertical surfaces! 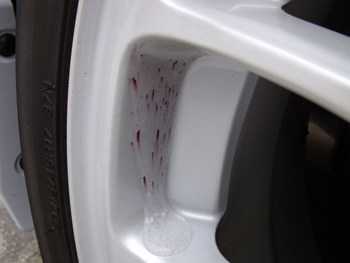 Iron X Paste by CarPro is an acid-free, pH-balanced iron remover that decontaminates auto paint and wheels. Iron X Paste has a long dwell time to work as long as needed to remove iron and brake dust spots. Iron X Paste prevents the spread of iron-related damage to protect your vehicle from paint system failure. The only way to truly remove ferrous particles is with a dedicated iron remover like Iron X Paste. Iron X Paste opens up the paint's pores to release iron particles and to neutralize the caustic compounds that have developed as a result of the particle. In one step, you can eliminate the cause and its effects. Put an immediate stop to paint damage before it's too late. 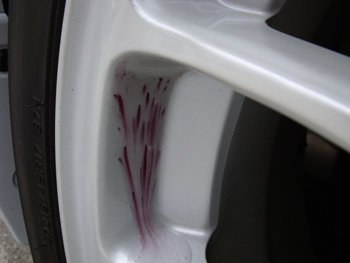 Iron X Paste is excellent on automotive paint and safely cleans clear coats. Iron X Paste is highly recommended for all clear coated alloy wheels. Brake dust and road grime become baked onto wheels. 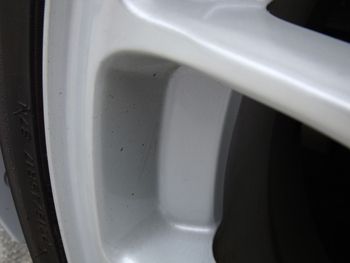 Brake dust contains high levels of iron and can quickly pit clear coated wheels. 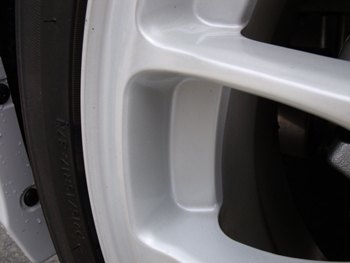 Iron X Paste easily removes ferrous brake dust to protect your wheels from further damage. Iron X Paste can save you the cost of replacing your factory wheels! Note: Iron X Paste should not be used on chrome, bare metal parts, brake calipers, wheel balancing weights, or SMART paint repairs. Mask off these areas. Avoid letting Iron X dry on any surface. Iron X Paste is easy to use and you can see it working! Iron X Paste turns purple when it comes into contact with sintered iron particles. Iron X Paste turns the iron into a water soluble complex for easy removal. After five minutes of dwell time, wipe down the surface and rinse thoroughly. After using Iron X, you can polish and clay your vehicle as you normally would. Always apply a coat of wax or paint sealant after using Iron X Paste. Proper vehicle care means cleaning above and below the paint's surface. Iron X Paste Iron Remover removes iron particles and their effects to keep the paint clean and healthy. After Iron X Paste has been applied. Iron X Paste turns red as it dissolves ferrous particles. Apply Iron X Paste to contaminated areas. Wait 5 min. while contaminants change its color to purple/red. Wipe off with damp soft sponge. Don’t let the IronX Paste dry completely on surface! First year with a white Acura TL, where over the Canadian winter, the truck lid was hard hit with rail dust and rust spots. Ordered IronX Paste. I started with using pea size blobs, but soon found out can use a lot less with great results. I take some paste and put it in an old soda cap and apply little coating to a tooth pick, just to cover the iron spot with a small drop (direct bottle application if there is a larger spot). Let dwell, purple color, water with ONR and a microfiber to remove. I did the most time consuming way, but got the spots.